The practice of family law has always presented uniquely challenging opportunities to attorneys. In recent years, domestic relations practitioners have seen an ever-evolving client demographic contributing to these inherent difficulties. According to data from a report by the Centers for Disease Control and Prevention’s National Center for Health Statistics, divorce rates in the United States have steadily declined since 2000. That decline has not been seen across the board, however, as a study from Bowling Green State University’s National Center for Family and Marriage Research found that the divorce rate for people over the age of 50 increased considerably during the same period. While there are several likely explanations for this disparity, the bottom line is that advising and representing clients divorcing in their golden years require a keen awareness of the ways in which the dissolution process impacts them differently. Probably the most noticeable difference is that divorces for older clients are far less likely to involve parenting time and child support issues given that their children are generally adults. That is not to say, however, that the children, even if already grown, do not factor in at all. Their involvement tends to be tangential to the substantive legal issues and more directly related to the social or cultural implications of their parents’ split. In such cases, it still makes sense to abide by the maxim in place with minor children: Keep them as far away from the process as possible. They have their own lives and problems to attend to. Instead, focus on the financial considerations that tend to take the forefront and make sure the outcome is fair on paper as well as feasible in practice. Dividing the marital estate and allocating the assets and liabilities of the parties are rarely as straightforward as one would hope, as the unique concerns relating to older spouses further complicate the process. For example, determining which spouse will retain the marital residence often involves financial and sentimental considerations. Fortunately, there are income tax deductions, property tax exemptions and reverse mortgage options available to older clients that can help work around the affordability issues. On the other hand, it is never easy to convince a client to reconcile the fact that the cash value of an asset does not necessarily align with the sentimental value he or she attaches to it, especially when the attachment runs as deep as it often does with a long-term family home. While this is equally true with other marital assets, the stakes are rarely as high as they are with the equity in a home, which is often one of the largest assets in the marital estate. Given the usually reduced earning capacity due to their advanced age, the margin for error in income planning around all of the relevant financial considerations for older clients is virtually eliminated. Retirement accounts tend to be the primary source of financial security, and properly documenting and valuing the separate and marital portions of such accounts merely represent the first step. Additional concerns include eligibility for early distributions, repayment of loans, availability of spousal survivor benefits and hardship withdrawals. Attorneys owe it to their clients to place a premium on the practical considerations about whether both parties will be able to make ends meet post-decree rather than focusing solely on what looks equitable on paper. Case in point: Spousal maintenance is one of the most complicated issues when dealing with older parties getting divorced. The statutory guidelines in Colorado suggest a longer maintenance obligation based on a longer marriage and a higher maintenance obligation if there is a substantial income disparity between the parties. However, concerns pertaining to retirement and fixed incomes ought to play as big of a role in determining a maintenance order that will actually work for both parties. Depending on the size of the marital estate, the maintenance guidelines can be reduced to present cash value and adjusted for tax consequences if the parties prefer to waive maintenance and implement a disproportionate property division in place of a more equal distribution combined with an ongoing maintenance obligation. Social Security is often one of the only sources of steady income for older parties getting divorced. With that in mind, helping clients understand the regulations regarding claiming increased benefits based on a spouse’s record can be an invaluable tool in budgeting for fixed-income clients. There are restrictions based on eligibility, duration of the marriage, age of the parties and remarriage, but the potential benefits are unquestionably worth the trouble given that a qualifying spouse can claim increased social security benefits without reducing the other spouse’s benefits. Benjamin Franklin once said that “nothing can be said to be certain, except death and taxes,” both of which are likely more imminent concerns for older clients. Advising clients about tax consequences walks a fine line between angering your malpractice insurance carrier and making sure that your client receives the best possible outcome without any unforeseen expenses. At the risk of being penny-wise and pound-foolish, there are tax consequences woven throughout virtually all of these financial issues that merit the attention of prudent practitioners: Qualified Domestic Relations Orders, early withdrawal penalties on tax-deferred investments and recapture of deductions for maintenance — just to name a few. Even more so with taxes, the devil is in the details. Health care for the parties post-decree, while not directly involved in the divorce process, is certainly among the chief concerns of clients going through it. 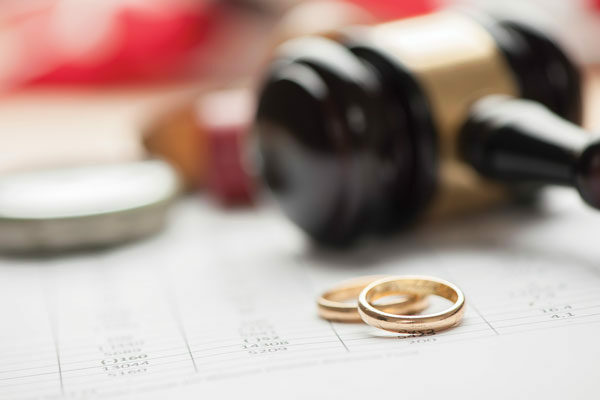 Unless both parties have their own insurance, either privately or through a group plan, the divorce will require at least one party to obtain individual coverage. For older clients, this can be far more expensive and time consuming than one might think. COBRA might be a short-term option, if affordable, but much about the fate of the health insurance system as it presently exists is still up in the air. Older clients going through the divorce process should also be reminded to update their estate plans. Reciprocal wills, beneficiary designations and powers of attorney should all be revised. Since an ounce of preparation is worth a pound of cure, take the opportunity to advise your older clients about getting a pre-marital agreement before they consider getting remarried. Joseph E. Brown is the senior associate attorney in the Family Law Division of Robinson & Henry, P.C.’s Castle Rock office. He is an active member of the American, Colorado and Douglas-Elbert County Bar Associations. He also volunteers with the pro se clinics in Arapahoe and Douglas Counties. He can be reached at joe.brown@robinsonandhenry.com.